You don't have to be traditional to be a great lawyer. You just have to excel at what you do. When it comes to finding a solution to your case, we aren't afraid to take an unorthodox approach if we need to. We have the experience to know what will work and what won't, and the knowledge to get legally creative. With unorthodox solutions come unintended results, but don't worry, we'll never let a surprise be bad news for you. Take our music videos for example, who would've thought a simple song could go viral and educate people about the law? Will is multi-talented. In addition to being at attorney, he is also a licensed nurse, a professor and a judge. Chris has made a career out of effective communication and problem-solving. In addition to being an attorney, he is also a Certified Texas Mediator. Dan has a strong background in science in addition to well-honed trial skills. If you've been accused of a crime, you want him in your corner. We're more than just the guys who make viral music videos. You’re a person, not an ATM. Too many attorneys treat their clients that way, but not us. There are few things in the legal system that cannot be resolved through effective, aggressive negotiation backed up by trial skills. It’s unfortunate that so many people view lawyers as a necessary evil. You should like and trust your lawyer. Due to my industry, I have been surrounded by legal professionals for a long time and have yet to come across an attorney as creative and sincere as Chris Harris. Will Hutson is one of the greatest attorneys! He is a great guy all around and knows how to treat his clients with respect. Chris Harris has been the attorney for my family for many years now. Now matter how busy he is, he always makes you feel like you are the only client he has. The most important quality to have in an attorney is that they actually care about your case. At Hutson & Harris, we love what we do and we have fun doing it. We don’t get jaded by the legal process and therefore don’t miss little details that other attorneys might. We are not afraid to give you the entire picture of your case upfront so that you always know where you stand. In a criminal case, there is no reason to hide your options from you and we never will. When it comes to personal injury, one of the most valuable assets is knowing how the insurance companies defend themselves. If for some reason we can’t figure a situation out on our own, then saying, “Oh well...” is simply not an option. We will find the knowledge and put it to work for you. We are wholly dedicated to giving you the highest quality of legal representation possible. Not every case is a winner, but the better your lawyer is, the better your outcome will be. We are based in Waco, just between Dallas and Austin. If you need us, that’s where we’ll usually be. Dallas is just a short trip away and is one of the northernmost areas that we serve. 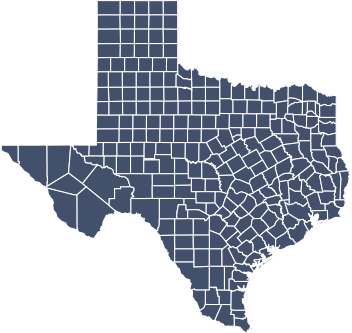 We serve any and all clients in the capital city of Texas, as well as the other cities that dot I-35. Way down south on I-35 is San Antonio, the other parameter of our areas of service.